Have you dreamed of owning a beach house? 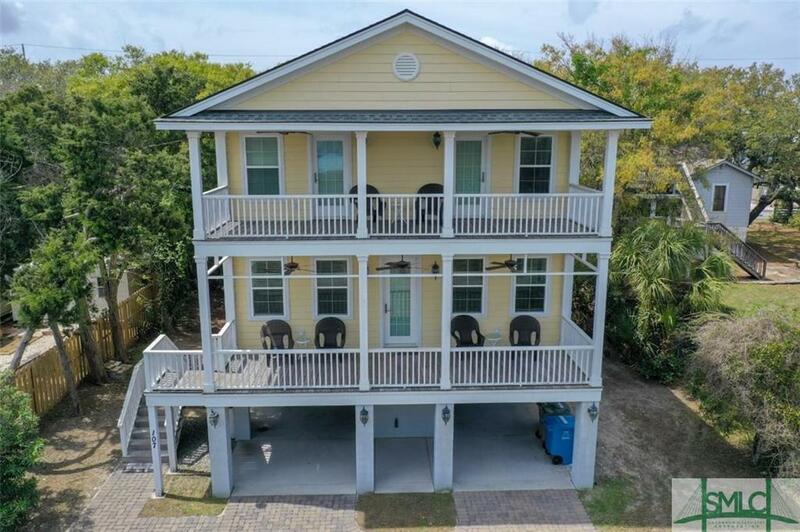 Tybee Tara was built in 2013 and is ready for you to enjoy! This well built home with double porches includes concrete siding and high impact insulated windows and doors for low maintenance. Spray foam insulation and high efficiency hvac and water heater make this home highly energy efficient. The main floor living area has abundant natural light, 10 ft ceilings and an open layout with beautiful wood floors and kitchen with stainless appliances, granite counters and soft-close drawers. The top floor has three bedrooms with wood floors, two baths and doors to the covered porch. There are partial ocean views from the top floor covered porch. There is drive-under parking and a pavered driveway. You can leave all the sand outside since there is an outdoor shower. Located a couple of blocks from 2nd St crosswalk. You can walk to dinner at the Sundae CafÃ©. More photos to follow of master suite and second bedroom.